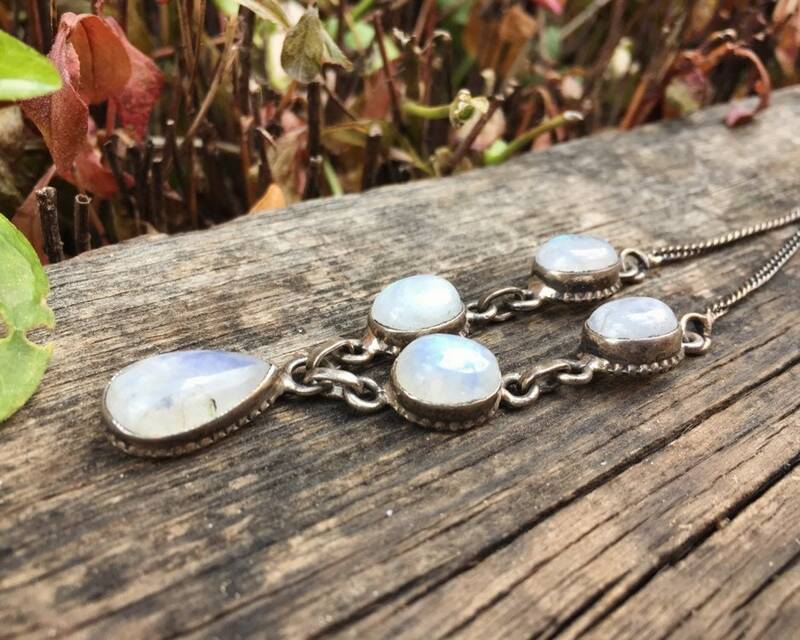 This super lovely necklace features five moonstone cabochons set in sterling silver, with two oval cabs on each side and a larger teardrop pendant in the center. 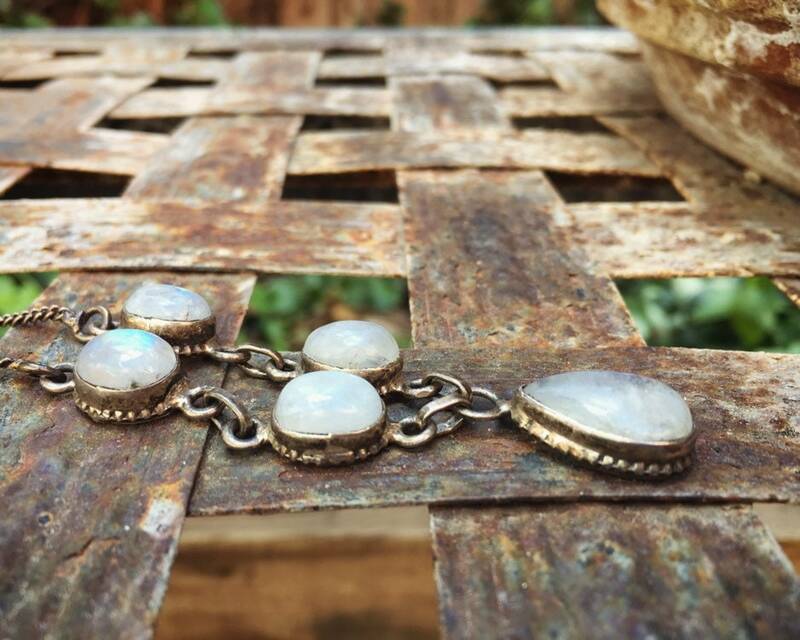 The moonstone is stunning, creamy in areas but also swirly, and in some lights with an opalescence shimmer. 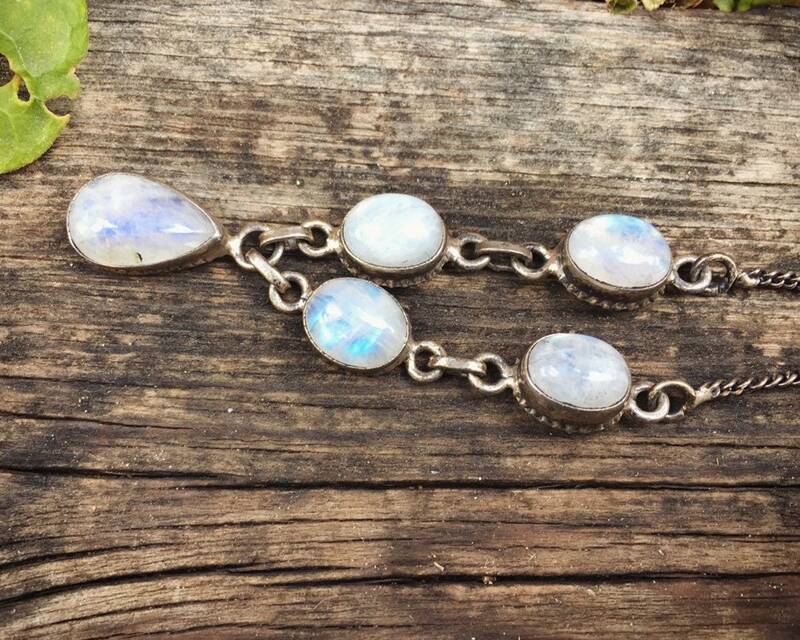 Moonstone is a variety of the mineral orthoclase, and it gets the glow from the light scattered between microscopic layers. 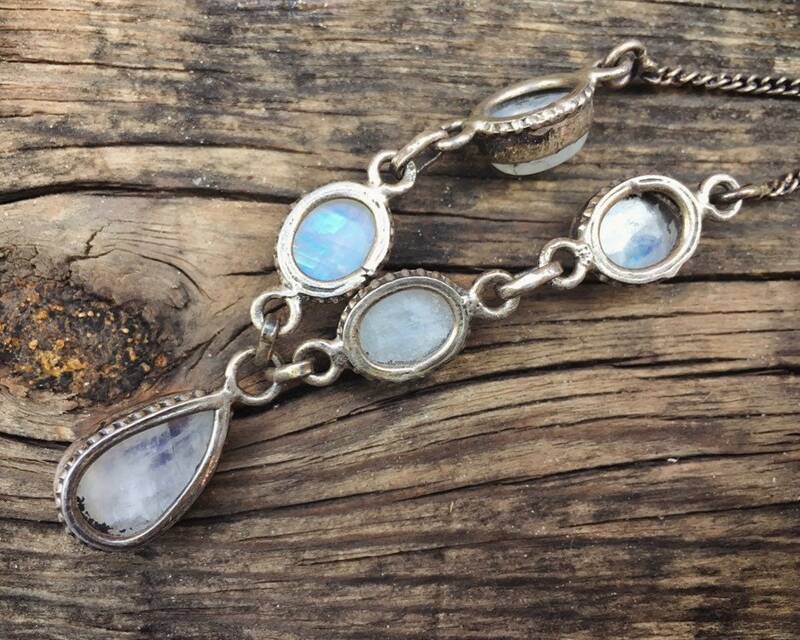 It's not surprising given otherworldly look, moonstone has a connection to calm and balance, creativity and passion, as well as wisdom. 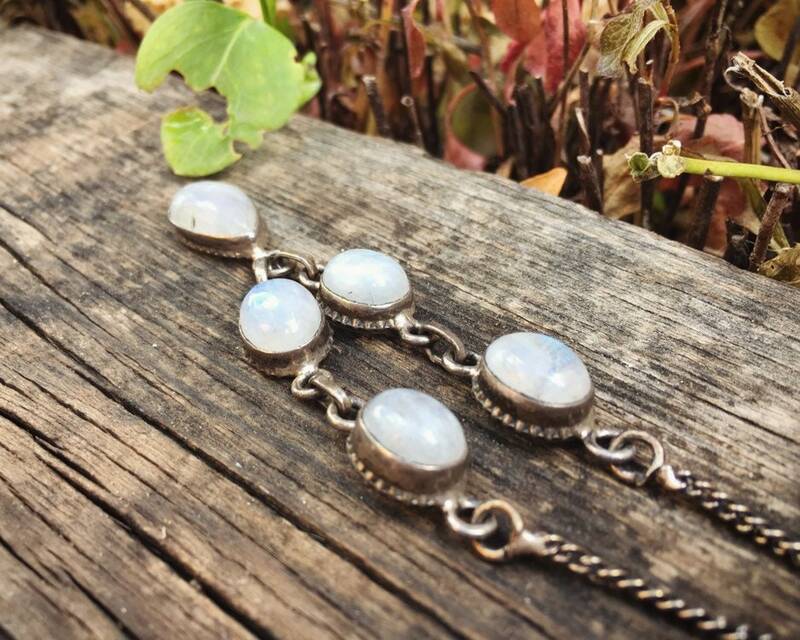 Moonstone is one of three birthstones for the month of June, and it is associated with the Third Anniversary in the US. 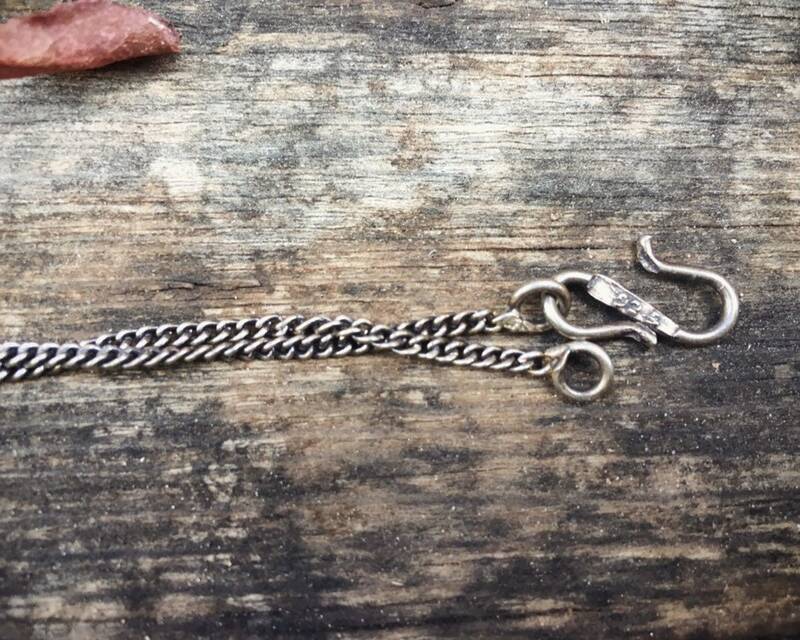 This necklace is meant to be worn high, as a choker, so that the pendant falls right as the neck moves into the chest, between the collarbone. Make sure to check your neck size as this is small enough that it might not fit. Has a cool hook that is artistic in itself. Marked 925. 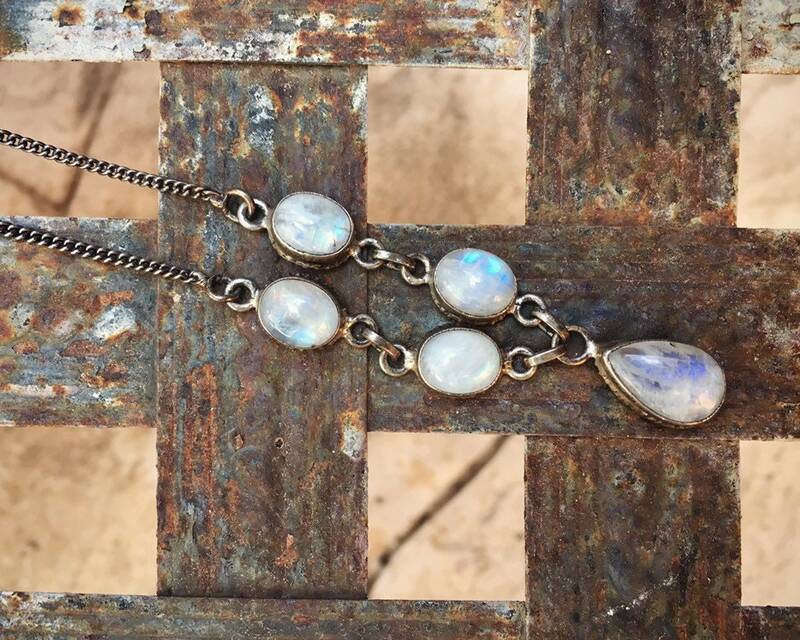 The largest moonstone pendant is 3/4" tall not including the eye hook and closer to 1" tall, and the smaller ones are 1/2" long and slighlty less wide. The chain measures 17", all inclusive of pendants. Small scratches in silver but otherwise good condition.